Just got back from a 10 days stay at the Filoxenia. "Brilliant" We had the luxury of a 2 bed apt (2 adults, 2 children) which was very spacious. 3 balcony's to choose from "Penthouse" The rooms are very modern and cleaned every day, bob on. The staff are fantastic both in the bar and especially in the restaurant. Food.....wow....... very good with plenty of options. The head chef "Andreas" will do his best to cook anything that you request. Two lovely pools to choose from, one quieter than the other and plenty of sun lounges. 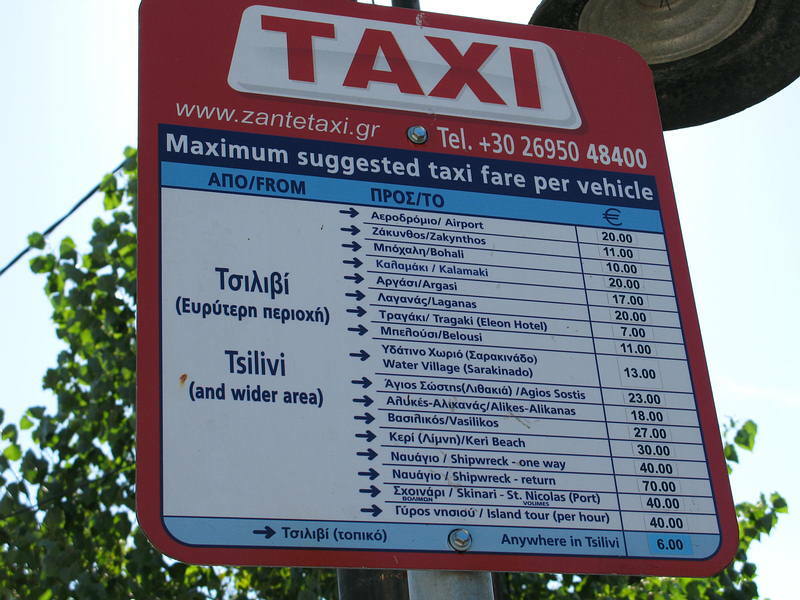 The centre of Tsivili is a good 10-15 min walk so be prepared to call a taxi if you're not a good walker. 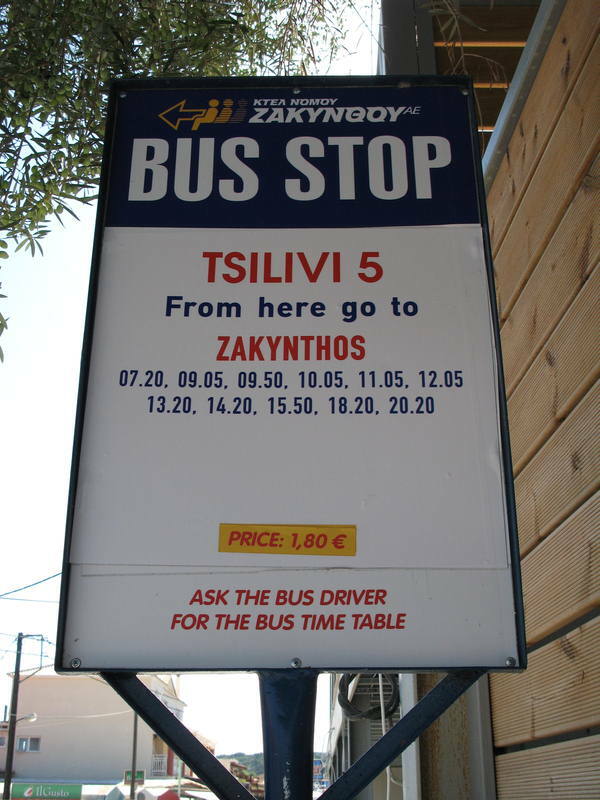 There is a free bus to the beach everyday which also brings you back later in the day. Result. The atmosphere is family orientated and very friendly, we have met some great people during our stay which added tobth overall package. Hello peeps. We also enjoyed the quiz and bingo nights and all the banter. Good fun. The only downside that we found was the poor kids play area "sort it out please" oh and the dodgy spiral staircase. Well worth a look. Just got home from a weeks stay at the Filoxenia, the hotel was basic but for what we paid we expected nothing more. It was very clean and staff were very friendly, we spent all day and every day at the beach so we were just looking for a nice comfortable base. In General this Accommadation was below par . We had an issue with Ants in our room on the ground floor and the floor had not been cleaned for ages before we arrived . when i pulled out the desk to see where they were coming in i could see old hair and so on on the floor. I went to the cleaner and she was very nice and she looked after it for us, Some of the lights were not working and we had to ask a few times to reception. I found one particular womon on reception a bit grumpy and not very Pleasant. The Beer on Draught at the bar is poison . I asked for a pint of Mythos and i was surely given slop. Another Problem is the road . They put some foot paths in to help walking on the road and before we knew it , there were buses parked on them outside the hotel. So myself and our two year old were walking on the road while the the buses were nice and safe parked on the path. We stayed at the Filoxenia and absolutely loved it, we had a really great time. 2 adults and 2 children aged 10 and 5, they had a ball. The hotel staff were brilliant, really really friendly and sociable, especially Denis and Antony. The rooms were fine and spotlessly cleaned every day. Denis organised karaoke and we had great karaoke nights. The greek night was brilliant and the food was so nice, couldnt fault it. The greek nites were held on a tuesday and the last one we went to will be one of my best memories at the Filoxenia. Everyone ended up in the swimming pool, fully clothes from grannies to children, it was an amazing night, it was a fantastic end to a really hot night. I dont think this is something that happens on a regular occurance, just think we happened to be there with a really good crowd of people. The pools were great , my youngest can't swim so he enjoyed the kids pool, but by the second week he was jumping into the shallow end of the big pool. The staff at the mini market were really friendly and there were a variety of goods on sale. Hi - We are going to the Filoxenia Apartments in Tsillivi next week - 22nd July - so will let you know when we return what it was like there. I have read many reviews and most of them have been very good except the odd grumble. We are going to the Filoxenia Apartments from the 11th September this year. Has anyone stayed there recently? Any info would be gratefully appreciated. Is it expensive to eat out etc in Tsilivi? Just arrived back after staying at the Filoxenia, the rooms are a very good size and well equipt. Although music from the bar can be loud at night, we stayed in the back block near the shop & could still hear it clearly. Proberbly wouldn't stay here again due to distance from main area & beach bit of a treck with 2 young children. The filoxenia was a nice hotel. we arrived and the staff were very welcoming, showed us to our rooms and sorted anything out that needed sorting. Recommend getting safe box and air con as gets very warm. The hotel is in two sections with two pools. we were in the main part that you see in brochures as was self catering. Basic stuff in room, fridge/freezer, kettle, microwave, 2 ring hob and toaster so everything you need. Food in hotel is priced ok. Food is nice as we eat in for breakfast and one night for evening meal. The bar staff are welcoming and are willing to make conversation with anyone. People Have mentioned the music. We were directly across from the bar and only night we had a SLIGHT problem with the music was on a wednesday as its Greek night. Other than that the music is not a problem. The rooms are cleaned everyday getting fresh towels every few days and same for clean bedding. The pool got busy towards the end of the holiday (this was due to schools holidays starting) so the pool got busy when children were in with all the floats, So we resorted to the beach which was nice. Walk into the centre was nice. 15mins to centre with all the bars and restaurants and the beach walk was 20mins. Its hot in middle of day but in a morning and evening is a pleasant walk. I stayed in Filoxenia twice and I never heard of one bedroom apartments, just studios and two bedroom apartments. As far as I know all the apartments are pool view. The separate block away from the bar area is much quieter at night as the music in the bar can go on fairly late. Hiring a car for a few days is a great way to see the island and as it's a small island you can see nearly all the sights in a short time. The boat trip to Smuggler's Cove is really nice in one of the smaller boats that go from the north of the island. ( I think the port is called Saint Nicholas). The village of Tsilivi is lovely with lots of nice restaurants and bars. You can see my other posts to see which ones I liked. Enjoy your holiday. I meant to just add that Valentina's Castle is lovely and the food is good too, it's on the way into town but back off the road on the r/hand side. Just returned from our holiday and I agree with the previous writer with one exception--- the music and noise from the bar which went on too late at night when there was no way to get away from it. So we though the Filoxenia was wonderful until 12.00am! The Filoxenia is an excellent place to stay. There is not 1 negative comment I can say about these apartments. The location is slightly out of town, but it is an enjoyable walk - 5-7 mins at the most, taxi �5, horse and cart �10 (looks romantic until you smell the horses bum). The staff are so friendly, especially Freddie the man at reception, Denis the barman in the daytime, Anthony the barman in the evening. Food in the Filoxenia was nice and reasonably priced. The apartments are spotless and the cleaning lady came to us every single day without fail (even the days when we slept in late, she would call back). A nearby Greek Taverna I would recommend is: - Valentina's castle - this is 3 min walk from Filoxena, it is lovely, quite romantic and the food is lovely. If Italian is for you, I would highly recommend - across the road from Popeyes, above a jewelers, an italian restaurant - the food was fabulous and the staff were sooooooooo polite and friendly. All in all we had an absolute fabulous time and will revisit theses apartments in the future. The amount of people that we spoke to, that have returned to the Zante, Tsilivi, Filoxenia apartments year after year after year was amazing but very understandable!! Position of apartments was perfect, but if you have toddlers, watch the busy road that separates the two apartment blocks. Maid service and change of towels was every day, bedding changed every two days. Nice, friendly staff, good food at pool bar. Would have been quiet had it not been for the noisy cockerel just behind a wall that separates the apartments and a farm; on our first night the cockerel started crowing at 1am and crowed every hour until 5am at which point it then went into snooze control and crowed every 5 minutes until 6am. However, towards the end of the week it seemed to quieten down. The ground floor apartments on the supermarket side have terraces that are a bit like dugouts, not very nice. Ask for second or third floor with pool view and you should get a nice apartment. 10 minute stroll into Tsilivi which was lovely and comes to life about 8.30pm. Nice food at most tavernas and a very nice patisserie opposite 'The Family' taverna. Going in May/June and cant wait. Blue sky, Turquise sea and cold beer !!! I need the e-mail address of the Filoxenia apartment complex in tsilivi please!would like to contact them directly.holidayed there before and loved tsilivi. just returned from a week at the filoxenia apts. tsilivi. I would recomend this place to anyone. The reception staff were vey friendly (apart fom the young girl. i think a smile would kill her) The rooms were spotless clean and cleaners in every day. Dennis the pool barman was top notch. ready for a laugh and always happy to help. I thought the drinks were a tadge expensive but the food was first class. The walk into town was about 20 mins but a taxi is 5 euros so we didnt walk it very much. I would try popeyes restaraunt.mega and the staff really friendly. After a good meal call into paradise bar. Great atmosphere and a good night out. I could go on but getting deppresed now. Wanna go back. So basically. The holiday was great. the hotel was cosmic.The greeks are mega.The food Toppa. and a good time was had by all. Hopefully we'll be back sometime. Oh. Just one bad thing. The Bloody flies. millions of them. forgot to put my ratings on page b4, everything excellent. we love everything about the filoxenia, the hotel, staff, the location and yes even the cockeral! we have been going there for the last 4 years now, we absoloutely love it. people moan about the distance into the town, but it is nothing. Infact it's nice to walk off your dinner each evening! If it bothers you that much then a cab is only 5 euros. The hotel is very clean and all the staff are so friendly, nothing is too much bother. We always said the world is such a big place, so much to see and do, but we have got the zante bug! This hotel was absolutley spot on, a enjoyable ten minute walk into town,which takes you past Sandras bar, you must call in here Sandra and Costa are excellent hosts.The room was basic but ticked all the right boxes, it was clean with a daily maid service and clean towels.The pool was perfect ,there was always plenty of sunbeds, the atmosphere is calm and relaxing.The onsight supermarket is full of everything you will need and is cheaper than the ones in the town. Anyone wanting a relaxing holiday will not be dissapointed. My mate & I stayed here for 1 week, and overall the Filoxenia is a good hotel. The location is only 10-15 mins walk into the town, the poolside bar is great for relaxing and does good snack foods. The staff are friendly and helpful. Just one issue: on two occasions, we returned to our room at the end of the day to find the cleaners hadn't locked our door [on one occasion, the door was left wide open]. Luckily nothing was stolen, but could well have been. Other than that though, I would recommend this hotel.